Having great friends in a city like Los Angeles lead to amazing nights like Wednesday. My dear friend, Hellin Kay, stylist to the stars/fashion editor/photographer extraordinaire, was kind enough to ask me to be her “Plus 1” to Gen Art‘s party for Vena Cava at the famed Chateau Marmont in West Hollywood. 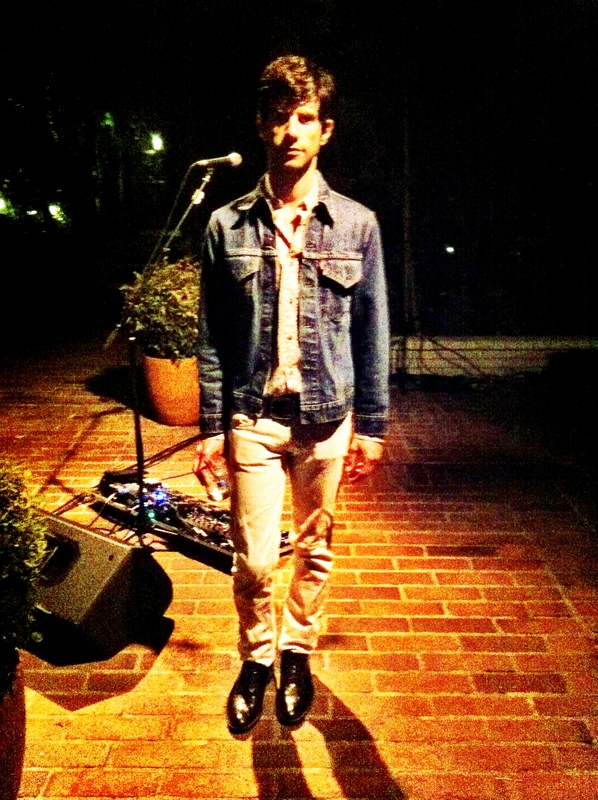 As we were waiting for my all-time fave St. Vincent to perform a solo set (I die a thousand times over), I had the pleasure of meeting musician Darian Zahedi, who was double denimed up in a Levi’s jacket and Kill City jeans. More on my star-studded night out with Hellin can be found here. A little video I shot of St. Vincent covering The Beatles’ Dig A Pony (swoon). This entry was posted on Friday, August 17th, 2012 at 1:49 pm	and tagged with Canadian Tuxedo, Chateau Marmont, Darian Zahedi, Denim, Denim on Denim, double denim, Fashion, Gen Art, Kill City, Levi's, Los Angeles, St. Vincent, Vena Cava, West Hollywood and posted in Fashion, In The Wild, Music. You can follow any responses to this entry through the RSS 2.0 feed.